IBM is endorsing the virtualization of network infrastructure to extend the benefits of a cloud delivery model to communications networks. Under its "Smarter Communications" initiative, IBM is working with business partners, including Connectem Inc., to deliver telecom solutions that run on its elastic, on-demand cloud platforms. The Virtual Core for Mobile (VCM) is a software solution from Connectem, an IBM Business Partner, which has the potential to deliver higher network performance during peak usage periods, where millions of customers could be accessing a mobile network via smartphones or tablets. A virtualized solution can rapidly switch computing resources to deliver incremental capacity on-demand. As a result, customers experience lower network latency even during periods of peak network activity. The Connectem VCM software running on IBM PureFlex platform is a part of a key initiative that can dramatically reduce the time to deploy new services as software applications on general-purpose computing platforms. 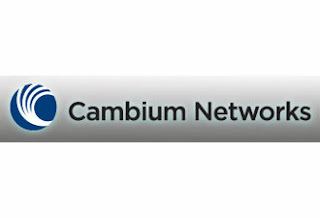 The Australian mobile carrier Optus recently tested a new mobile network capacity solution from Connectem Inc. running on IBM PureFlex. The IBM PureSystems family offers carriers an alternative to current enterprise computing models, where multiple and disparate systems require significant resources to set up and maintain. "The IBM PureFlex platform is uniquely suited to enable virtualization of network functions that are implemented as software applications running on elastic, on-demand infrastructure in 3G, 4G or Wi-Fi wireless networks," said Jacqueline Woods, global vice president of Systems Software & Growth Initiatives, IBM Systems & Technology Group. "We continue to support our partners as they develop and bring to market innovative solutions on the PureFlex platform." NTT DOCOMO and the Tokyo Institute of Technology achieved an uplink rate of approximately 10 Gbps during a field experiment. In light of the squeeze on remaining frequencies as mobile data traffic continues to increase, DOCOMO aims to achieve a transmission speed of more than 10 Gbps using super-high-frequency bands exceeding 5 GHz. Such high frequencies have been difficult to use for mobile networks due to the limited distances their waves are able to travel, especially along indirect paths such as around buildings. 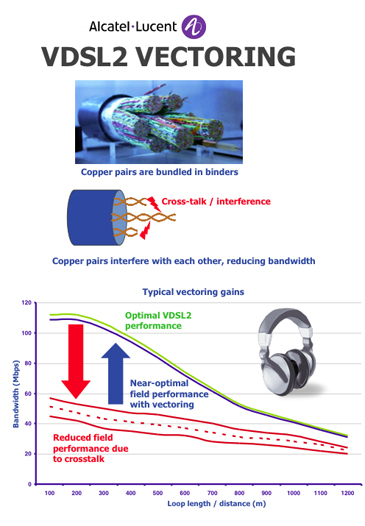 NTT DOCOMO said the technologies also are applicable to downlink packet transmissions, suggesting that it should be possible to achieve a 10 Gbps downlink. 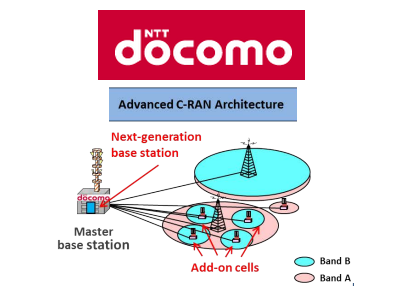 NEC confirmed that NTT Docomo has selected it to develop LTE-Advanced base stations for its new C-RAN architecture. NTT DOCOMO,China Mobile International and KT agreed to lay out a joint Wi-Fi inbound roaming scheme covering Japan, China and Korea. The new arrangement will allow international mobile and/or Wi-Fi operators to roam into Wi-Fi hotspots in Japan, China and Korea through a single contract and a one-stop connection realized by hubs supported by the scheme. 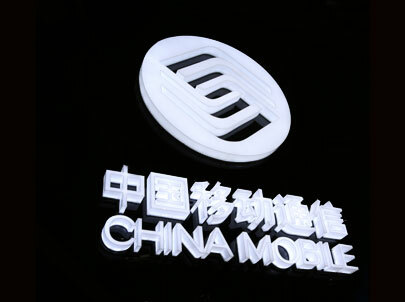 China Mobile International is named to be one of the hub operators. 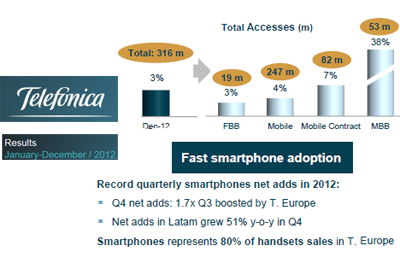 The companies hope to launch in Q2 2013. The three carriers also agreed to adopt EAP-SIM authentication technology to eliminate the need for customers to enter user IDs and passwords when accessing Wi-Fi hotspots, leading to improved convenience and experiences. 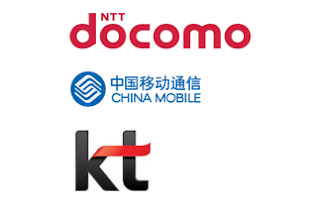 Separately, the three carriers have also agreed on handset and service requirements needed to realize NFC international roaming services, or NFC service roaming, between the three countries and for the rest of Asia. The companies have been exploring opportunities for NFC service roaming since January 2011, and from April 2012, efforts have focused on developing common requirements. 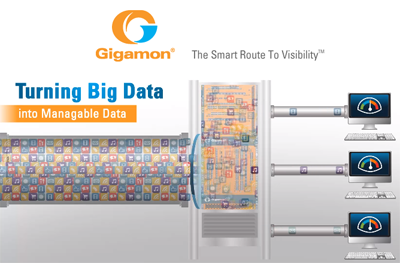 Gigamon is developing an innovative approach for dealing with the problems that Big Data creates for network visibility in the networks of mobile operators. 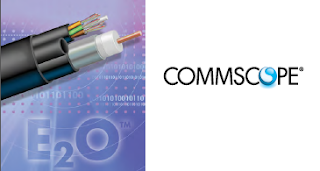 The aim is to deliver a cost-effective solution for connecting single or multiple 40Gb and 100Gb pipes to 10Gb and 1Gb analytic tools. 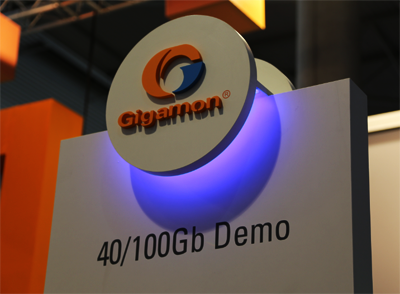 Gigamon's technology essentially takes the network traffic flowing through the large pipes, and controls the volume of data being forwarded to the tools. 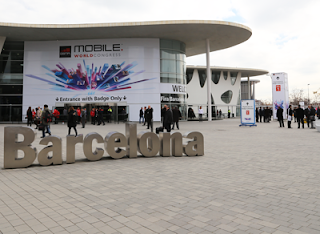 The concept is being showcased at this week's Mobile World Congress in Barcelona. The company said this approach will faithfully reproduce the data on a smaller scale, retaining its stateful condition with session awareness. 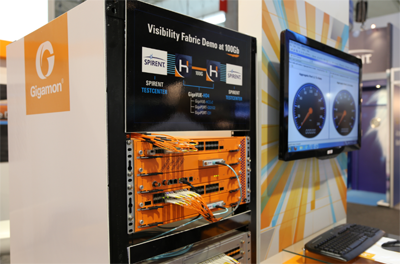 Single tools can then effectively process throughput of what was originally 100Gb or 40Gb traffic flows. When commercially available, this new innovation will work in tandem with Gigamon’s Flow Mapping and GigaSMART applications technologies. Flow Mapping enables advanced filtering of individual network traffic packets that are forwarded according to a set of user-defined rules that are optimized to provide customers with unique granularity and scalability. GigaSMART applications modify, manipulate, transform and transport packets, along with the information they carry, in order to enhance and improve the value of the network traffic before delivering it to the appropriate management, monitoring and security tools. 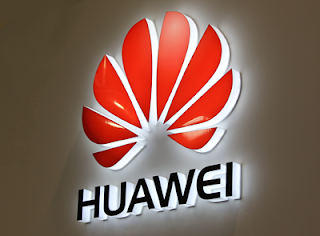 Huawei introduced an SDN-based mobile backhaul solution that simplifies the operation and maintenance (O&M) and management of mobile backhaul networks and shortens the time to market (TTM) of new services. 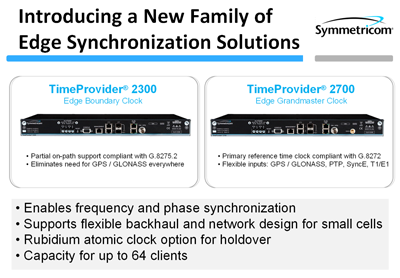 The solution helps operators resolve network issues during the evolution to LTE networks. 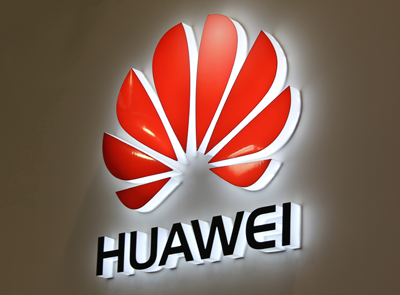 Huawei said three large gaps persist in backhaul networks that operators must leap over during the evolution to LTE and LTE-A networks. First, a large gap exists between massive LTE hotspots and limited hotspot backhaul sites. 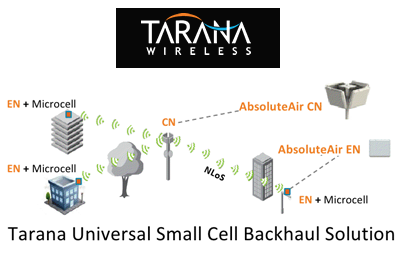 The LTEHaul solution extends the traditional backhaul network downwards to form a fronthaul, facilitating the management and maintenance of massive hotspot backhaul nodes. A second large gap is present between the vast increase in the LTE bandwidth and the limited bandwidth on the traditional backhaul network. Third, there is a large gap between the traditional backhaul and core networks. The LTEHaul solution stretches the traditional backhaul network upwards to achieve end-to-end fast service provisioning, protection switching, and fault locating from eNodeBs to evolved packet cores (EPCs). 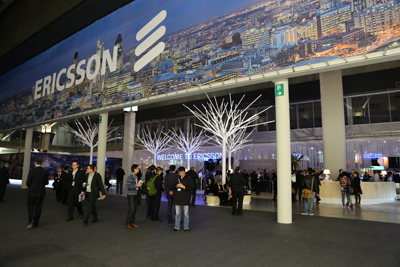 At Mobile World Congress in Barcelona, Ericsson is highlighting its vision for how software defined networking (SDN) vision will transfer Service Provider infrastructure. 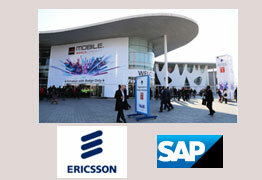 At Mobile World Congress, Ericsson also announced its commitment to deliver the first commercial Service Provider SDN application in the fourth quarter of 2013. That initial application will be Service Chaining running in the SSR 8000 family of Smart Service Routers. KPN awarded a five-year managed services agreement to Alcatel-Lucent for the transformation of KPN’s fixed network in The Netherlands. In addition to managing the day-to-day operations of KPN’s network, Alcatel-Lucent will migrate existing Voice and Transport networks to next-gen Alcatel-Lucent technology. Under the deal, Alcatel-Lucent will plan, design and implement an end-to-end solution to provide KPN’s network with increased capacity, upgraded equipment, and best-in-class customer service processes. Alcatel-Lucent also will help KPN transform its existing multi-vendor voice and core networks enabling its customers to access and share multimedia content from wherever they are or using the device of their choice be it smartphone, computer or tablet. As part of the network upgrade, Alcatel-Lucent will migrate KPN’s core network to next-gen Synchronous Digital Hierarchy (SDH) technology, move KPN’s VoIP service to Alcatel-Lucent’s IMS platform and provide WLAN and security gateway for Wi-Fi networks, as well as Professional Services. 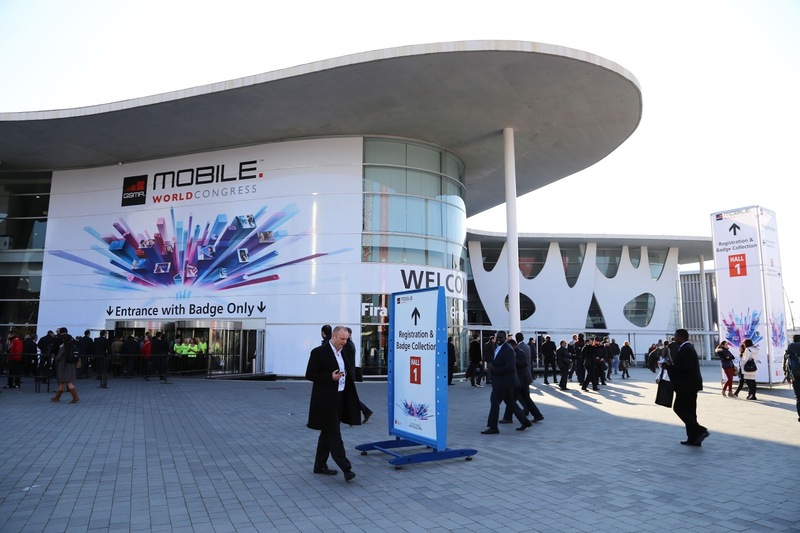 Ixia introduced a network visibility solution to help mobile operators gain better insight and control over individual user sessions in order to increase customers’ quality of experience. GTP-session awareness -- Offloads GTP session correlation from monitoring tools while keeping GTP sessions together across multiple probes. The Anue GSC understands GTP protocol and can deliver all packets from a single subscriber to a single tool as well as send GTP-session and non-GTP, non-session traffic to different pools of probes. A scalable load balancing solution -- Distributes millions of subscriber sessions to tools in a 32-port configuration, doubling the number of ports for twice the performance in a 2RU chassis. Carrier-grade robustness — NEBS Level 1 certified, including high-availability features such as redundant management ports, power supplies and fan trays. Narus, which develops big data analytics for cyber security, is setting its sights on Cyber 3.0 -- a new approach to cyber security whereby machine learning serves as the foundation of next-generation security products that protects devices, organizations and people. Narus, which is a Silicon Valley-based subsidiary of Boeing, said a new approach to cyber security is made possible by the semantic web. Instead of just reacting to new cyber security attacks, the industry must leverage the power of the predictive web to get ahead of the threat and out-innovate the adversaries. 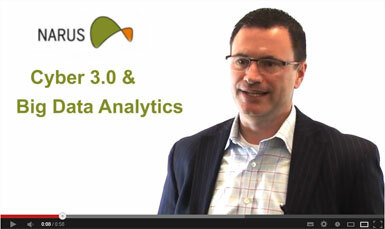 The company defines Cyber 3.0 as "the intersection of the semantic Web and cyber." Because of the massive volume of data, the new security framework relies on machine-to-machine learning that enables the collection, extraction, fusion, analysis and connection of information. Ultimately, it provides the visibility, control and context required to protect organizations in today's environment. Cyber 3.0 will be the foundation for a future in which machines drive decision-making. Narus has filed or been awarded 32 patents related to cyber security. 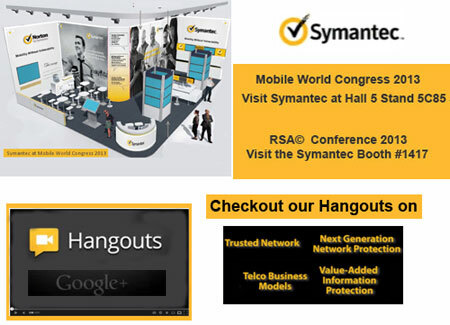 The company is announcing the following products at this week's RSA Conference in San Francisco. Narus nSystem: New big data analytics solution leverages machine learning and automated continuous learning to achieve incisive intelligence for protection of critical assets. The system processes 100 percent of network packets to discover, analyze and understand every cyber interaction, and deliver the visibility, control and context required. The result is the Narus nSystem, which can scan millions of pieces of data and metadata; aggregate data about users, communities, devices and applications; and then delve into the traffic as well as the content behind network behavior. Narus said its solution ensures that every interaction is contextualized to help users draw conclusions about patterns and relationships. And semantic analysis provides clear insight into details about location, demographics, topics, interests, roles, personal information, relationships and more. Users can then discover unknown relationships and contextualize all interactions to gain incisive intelligence based on learned relationships, and predict threats and protect critical assets. Narus Application Whitelisting Technology: A breakthrough application classification technology that automates the formerly manual process of generating application signatures, and identifies them in real time. This new technology replaces any human intervention in the reverse-engineering process. Patented algorithms automatically identify the presence of unknown applications and generate their corresponding signatures and labels in seconds. Narus N10: Cloud-based information security software that provides complete document control using a secure, cloud-based environment, proprietary encryption, and rigorous authentication and authorization. Nokia Siemens Networks and IBM are developing a mobile edge computing platform that can run applications directly within a mobile base station. The idea is to accelerate application performance and rich media services by running directly at the base station, driving down latency. 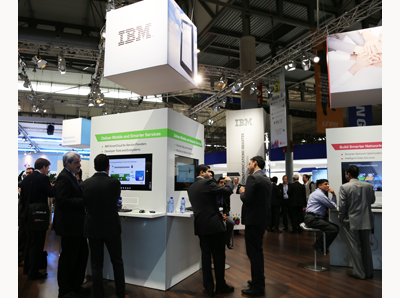 Nokia Siemens Networks Liquid Applications and IBM’s WebSphere Application Service Platform for Networks (ASPN) together a solution for running applications at the mobile edge. 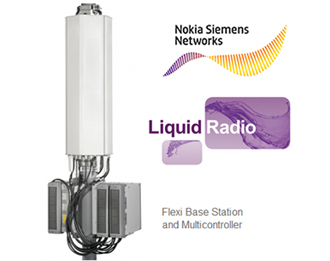 Liquid Applications is part of Nokia Siemens Networks Liquid Broadband framework enabling a unique interaction between a mobile subscriber’s smart device, their applications and the mobile network. The company’s Radio Applications Cloud Server (RACS) is fully integrated with the Nokia Siemens Networks’ Flexi Multiradio Base Station and features access to real-time network data that has never been exploited before. RACS integrates IBM’s ASPN platform and provides a standards-based cloud runtime environment, and is designed to allow mobile operators to deploy, run and integrate applications to the mobile edge. 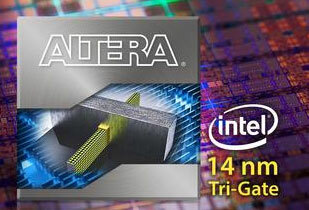 Altera's next generation FPGAs will be based on Intel’s 14 nm tri-gate transistor technology. These next-generation products target ultra high-performance systems for military, wireline communications, cloud networking, and compute and storage applications. Under a partnership deal announced by the firms, Altera’s next-generation products will now include 14 nm, in addition to previously announced 20 nm technologies. "Altera’s FPGAs using Intel 14 nm technology will enable customers to design with the most advanced, highest-performing FPGAs in the industry,” said John Daane, president, CEO and chairman of Altera. “In addition, Altera gains a tremendous competitive advantage at the high end in that we are the only major FPGA company with access to this technology." The first Telefonica Firefox OS devices are expected to launch in Brazil, Colombia, Spain and Venezuela during mid- 2013 with initial launch devices from Alcatel One Touch, LG and ZTE. 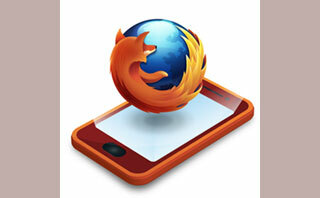 Telefónica is pursuing Firefox OS, the new, open mobile operating system from Mozilla. The first Firefox OS handsets to launch in these initial markets will be manufactured by Alcatel One Touch, LG and ZTE, featuring Qualcomm’s Snapdragon processor. 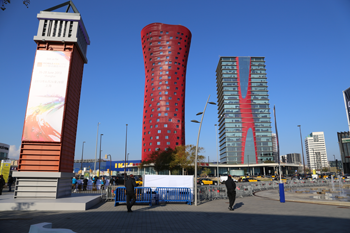 Telefónica said the new Firefox OS marks a significant milestone for the mobile industry, enabling for the first time devices to be manufactured to totally open web standards. 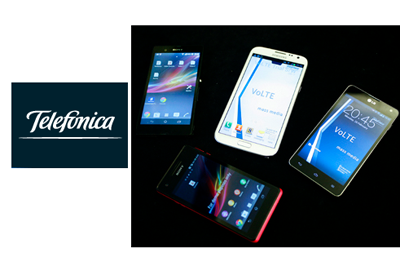 It provides an alternative to current, closed mobile ecosystems that lock consumers in. In July 2012, Mozilla plans to launch a new fully open mobile ecosystem based on HTML5 has gained the backing of some leading mobile operators, including Deutsche Telekom, Etisalat, Smart, Sprint, Telecom Italia, Telefónica and Telenor. The idea is an open mobile OS and device architecture where every phone feature (calling, messaging, games, etc.) is an HTML5 application. The Firefox OS for mobile devices is built on Mozilla’s “Boot to Gecko project”. TCL Communication Technology (under the Alcatel One Touch brand) and ZTE have announced their intentions to manufacture the first devices to feature the new Firefox OS, using Snapdragon processors from Qualcomm. The first Firefox OS powered devices are expected to launch commercially in Brazil in early 2013 through Telefónica’s commercial brand, Vivo. Bharti Airtel has selected Nokia Siemens Networks to launch voice services for its TD-LTE customers in Pune, India, through its existing GSM network. 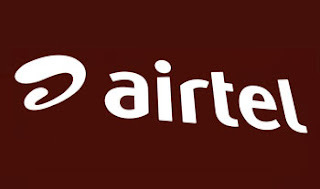 Specifically, Bharti Airtel has selected NSN to deploy its Circuit Switched FallBack (CSFB) voice solution in the operator’s live TD-LTE network in the city. With CSFB, the network can transfer customers to GSM platform to make and receive voice calls and access voicemails while retaining the experience of ultra-fast data services on 4G smartphones. Nokia Siemens Networks deployed its radio network elements in addition to its voice core and packet core network elements, including its Flexi Multiradio Base Station, its Mobile Softswitching (MSS) systems and its Liquid Core-based Evolved Packet Core (EPC) platform, including Flexi NS (Network Server) and Flexi NG (Network Gateway). Nokia Siemens Networks’ network management system NetAct has been implemented to monitor, manage and optimize the whole network. KDDI of Japan has selected the Cisco ASR 5500 mobile multimedia core platform as a core element of its mobile Internet network. The Cisco ASR 5500 will be a foundational element for KDDI’s LTE network. Financial terms were not disclosed. 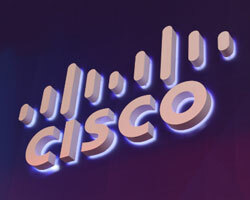 Cisco noted that its ASR 5500 provides intra-chassis virtualization capable of allocating resources on-demand across transactions, throughput and sessions over heterogeneous networks to support multiple control and bearer functions and services, such as policy charging and rules function (PCRF) and deep packet inspection (DPI), with high-reliability and high-availability. 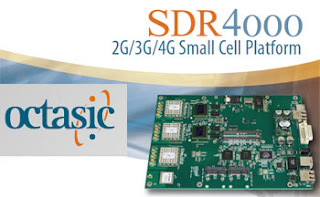 Octasic introduced its newest Small Cell platform, the SDR4000, supporting simultaneous multi-standard operation over a cell range of 20 km. Octasic's OEM-ready platform includes baseband hardware and software, three RF front ends, and an application processor. It enables simultaneous 2G, 3G, and 4G operation in a compact (170x170 mm) form factor that can be powered over Ethernet with passive cooling. Capacity ranges from 16 to 100 active users across multiple cellular standards. A key feature is that the SDR4000’s dynamically re-programmable radios can operate from 700 MHz to 2.7 GHz with bandwidth from 200 kHz to 20 MHz. 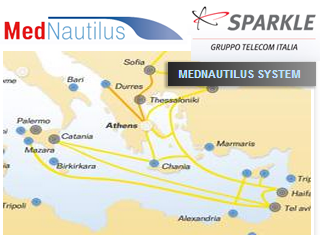 The same platform can be used in all operator networks worldwide or for custom waveforms and frequency bands. the design. In addition, Octasic's Opus Studion development toolset lets OEMs enhance the flexiPHY software or enable them to develop their own proprietary PHY. For the application processor, Octasic has selected the Intel Atom processor. Specifically, Octasic is using the Intel Atom processor N2600. A single processor can run the UMTS RNC stack as well as the LTE Layer 2 and 3, supporting 100 active users. Furthermore, Intel QuickAssist Technology provides easy-to-use software for data-plane acceleration, while supporting migration across Intel-based devices. 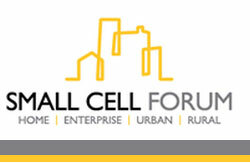 “Small Cell technology is creating disruption in the conventional basestation landscape as well as enabling innovative new applications. Vendors are moving very quickly to stake claims in these new markets,” said Fabio Gambacorta, VP Sales and Business Development at Octasic. Alcatel-Lucent and China Mobile are jointly developing a lightRadio Metro Radio designed for deployment in China. Available now for large-scale commercial deployment in China Mobile’s first trial TD-LTE network, which spans 13 cities in China, lightRadio Metro Radio will bring 4G services to residents in densely populated areas of Shanghai, Nanjing and Qingdao. In China, lightRadio Metro Radio will be deployed in busy indoor and outdoor locations, such as shopping malls and stadiums where coverage can suffer either from the large number of consumers trying to access a network, or because the density of buildings impedes the radio signal. China Mobile currently has over 722 million subscribers - over half of the total mobile subscriptions in the country. Alcatel-Lucent and China Mobile signed a co-creation agreement in January 2012 to conduct joint development and test activities on a series of lightRadio TD-LTE projects to speed the deployment of LTE in China. TD-LTE is the 4G standard developed for use across China, and it is now being adopted by operators across the globe. lightRadio Metro Radio houses two lightRadio cubes, fully integrated with a directional antennae, allowing it to provide the coverage normally associated with a much bulkier, heavier remote radio unit linked to an external antenna via an RF coaxial cable. O2, a Telefónica brand serving 23 million mobile subscribers in the UK, named Ericsson as sole supplier to provide an Evolved Packet Core (EPC) for its LTE network. In addition, Ericsson will transform 50 percent of its nationwide network by supplying and deploying the latest RBS 6000 multi-standard radio base stations. Financial terms were not disclosed. The deployment includes Ericsson's Evolved Packet Gateway on the SSR 8000 Smart Services Router family and SGSN-MME on the Ericsson Blade System. It also include customer support services. Ericsson has now signed 130 LTE/EPC contracts in 51 countries on six continents. Building on its carrier SDN announcement in January, Juniper Networks outlined the next steps it will take to bring the power and efficiency of virtualization to mobile packet cores. Juniper's strategy relies in part on its JunosV App Engine, a specialized hypervisor that will deployed on its key networking elements as well as on commodity compute hardware. The JunosV App Engine will enable virtualized networking functions, including signaling and control (SGSN/MME) for LTE, 3G and 2G radio access networks. Juniper will also deliver an SDN controller leveraging technology from its recent acquisition of Contrail. Juniper sidits new services provisioning application, mobile infrastructure application and virtualized services engine will help network operators achieve elastic capacity, increased service velocity, while lowering overall capital and operating expenses. Juniper Networks Mobile Control Gateway -- a virtualized function running on the JunosV App Engine, providing signaling and control (SGSN/MME) functions to the LTE, 3G and 2G radio access networks. As a virtualized network function, mobile operators can now rapidly scale up and down capacity to meet variable demand requirements. Now shipping. Juniper Networks JunosV App Engine -- centralizes the development, provisioning and management of both Juniper Networks and third-party applications on a common platform. This platform also enables customers to grow the compute, memory and processing resource needed for cloud-based applications and services attached specifically to the MX edge router. Customers and partners, such as Hitachi, have already built applications on this platform. Now shipping. New SRX line cards for the SRX5600 and 5800 Series Services Gateway. 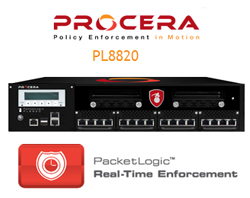 The SRX Series collapses the security gateway, firewall, switching, and routing layers onto a single platform,. The new line cards support up to 100 million concurrent sessions and up to 200 Gbps of firewall throughput with a single SRX Services Gateway. 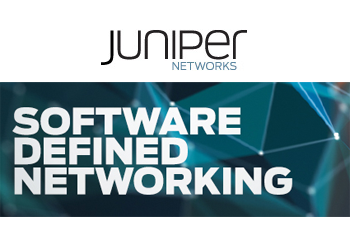 In January 2013, Juniper Networks outlined a four-step roadmap to software-defined networking with the goal of improving automation and agility in data centers and across service provider networks. A key part of Juniper's SDN strategy involves the concept of "Service Chaining" whereby an SDN controller is used to virtually insert services into the flow of network traffic. The company sees SDN extending all the way across all domains of the network: Core, Edge, Access & Aggregation, Data Center, WAN, Campus & Branch. Juniper's SDN roadmap initially targets two of these areas -- the Service Provider Edge and the Data Center. Pradeep Sindhu, Juniper's CTO and Founder, said the company has always believed in open standards. Juniper is supporting OpenFlow in routers and switches this year. The company has also partnered with Big Switch and others in the SDN space. However, Sindhu described OpenFlow as an early protocol that needs to evolve, and probably not the most important one for SDN. Juniper is enabling the SDN virtualization with existing protocols, including BGP, thereby enabling the existing routing and switching infrastructure to participate in the SDN transformation. Juniper will adopt the OpenStack model as its primary orchestration system and will work with others including VMware and IBM. It is still early days in SDN and Juniper believes the adoption of this technology will be gradual over many years. One significant change will be the way network software is delivered. Juniper is introducing a new software licensing and maintenance model that allows the transfer of software licenses between Juniper devices and industry-standard x86 servers. Step 1: Centralize network management, analytics and configuration functionality to provide a single master that configures all networking devices. Step 2: Extract networking and security services from the underlying hardware by creating service virtual machines (VMs). This enables network and security services to independently scale using industry-standard x86 hardware based on the needs of the solution. Step 3: Introduce a centralized controller that enables multiple network and security services to connect in series across devices within the network using "SDN Service Chaining" – using software to virtually insert services into the flow of network traffic. The SDN Service Chaining will be introduced in 2014 utilizing the SDN controller technology acquired from Contrail Systems, together with the evolution of the JunosV App Engine. Step 4: Optimize the usage of network and security hardware to deliver high performance. Specifically, Juniper's MX Series and SRX Series products will evolve to support software-based Service Chaining architecture.